Flora Graham is a science and technology journalist based in London. She writes a daily email newsletter for Nature – the capo di tutti science journals. Why not sign up for it right now, indeed? 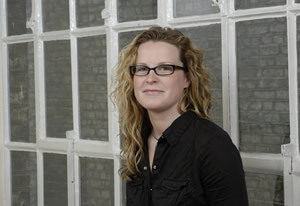 Flora was previously Digital Editor at New Scientist, and wrote for the BBC, CBC, and CNET UK, among others. She has appeared as a commentator on technology for news outlets in the UK, Europe and North America. Before becoming a journalist, Flora worked in videogame development, streaming media, embedded systems and finance as a technical writer, software project manager and user interface designer. You may have guessed from her accent that Flora is originally from the Great White North. After growing up in Vancouver, Canada, Flora moved to England in 2002 due to her love of pork pies and changeable weather. Flora has a BSc in physics and English from UBC and an MSc in science communication from Imperial College, London. Favourite topics include mobile technology, physics, creative non-fiction, radio and why you’ll never get a fridge that orders your groceries. Flora est aussi disponible en francais. If you’re looking for an interview or comment for a sci/tech story, please get in touch at contact@floragraham.com. She’s also on Twitter @floragraham. To reach Flora at Nature, email flora.graham@nature.com.